Choosing a moving company may seem like a very simple process to everyone, but it is actually one of the most difficult parts of the entire moving process. Think about this for a second or two. You are going to trust this company with everything that you own. Do you think that it would be a good idea to just blindly choose the first company that you can find? No it would not. Here at AAAMovingQuote.com, we know just how important it is to choose a moving company, and that is why we have put together this helpful list of tips on how to choose a moving company. The first thing that you need to do is make sure you have plenty of moving companies to choose from. You could spend a lot of your free time trying to locate every single moving company that services your area, but there is a good chance that you don't have this amount of free time on your hands. How can you get more choices? That is where our services come in handy. By filling out one simple form, you can get your information into the hands of several different moving companies in a matter of seconds. Once the moving companies have your information, it is time to start choosing a moving company to get the move done. The next step is to sort through all of the moving company quotes, and try to locate the moving company that offers the best deal. This part is pretty simple and straight forward. You may think that the lowest price is the best option, but this is not always the case. Some moving companies will give you low quotes just to try to get your business. You have to beware of quotes that seem too low. Remember the old saying, if it is too good to be true then it probably is? This applies to this scenario. If there is any uncertainty about your moving quote, then make sure you clarify before you go ahead with the move. You may also want to get the moving quote in writing before you proceed. Every moving company is required to have a license. If the moving company that you are thinking about using cannot produce proof of their license, then you may want to choose a completely different moving company. Rogue moving companies operate without licenses, and these rogue moving companies are something that everyone should watch out for. 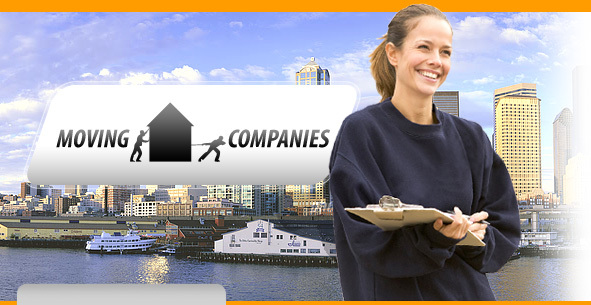 It never hurts to verify the services of a moving company by checking some references of satisfied customers. Most moving companies will happily advertised positive testimonials from their prior clients. If a moving company cannot supply you with any references or testimonials, then you may want to think about choosing a different moving company. Keep these tips in mind when you are searching for a moving company, and you will have no problems finding the most affordable, efficient moving company that service your area.